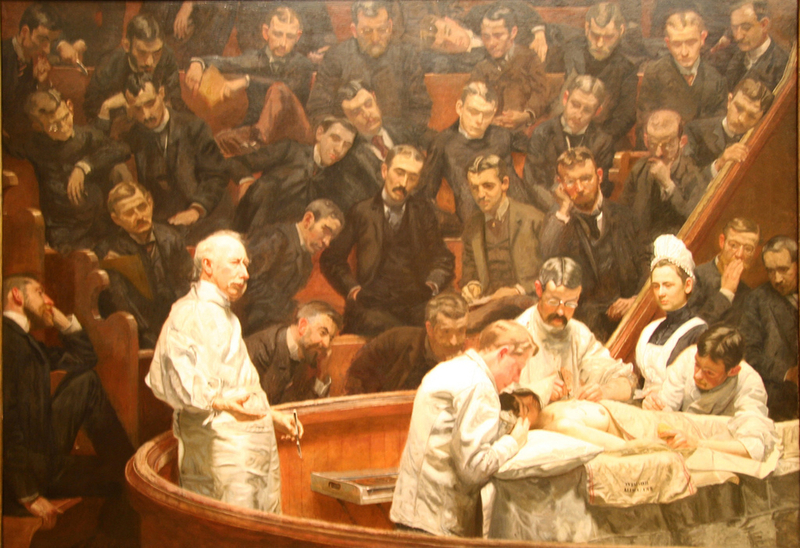 Thomas Eakins,The Agnew Clinic, 1889. Specifically, individuals like us are wary that a replacement plan may force insurers to cover everyone but let them create other mechanisms that limit coverage for those most in need, such as imposing annual or lifetime maximums that would cap total expenses paid by insurance plans. The costs of our treatment illustrate why this is a dangerous proposition for many people with preexisting conditions…. Read the entire article here. Make sure to contact your government representatives to let them know how you feel about the reckless GOP proposals to repeal the Affordable Care Act. NOTE: Readers are invited to contribute their stories about how the ACA has helped them. Families USA is coordinating the effort here. CAP has something similar at acaworks.org. About the authors: Jen Campisano is a mom and patient advocate writing about her experiences with stage 4 breast cancer at www.boobyandthebeast.com. Ben Fishman is a member of the National Coalition for Cancer Survivorship’s Policy and Advocacy Team. Just when I thought having others pay for me is awesome, it gets taken away. And this is not necessarily my opinion, however, it seems to express the truth of the situation. Why do you think anyone else should pay for you?